Yellow bells (Fritillaria pudica) are one of my favorite spring wildflowers. This member of the lily family sprouts from a bulblike corm (thickened underground stem) surrounded by tiny bulblets that resemble rice. The species name, pudica, derives from a Latin word meaning “bashful”, probably referring to the flower’s nodding head. This yellow bell is growing in one of our pastures (Modoc County CA). 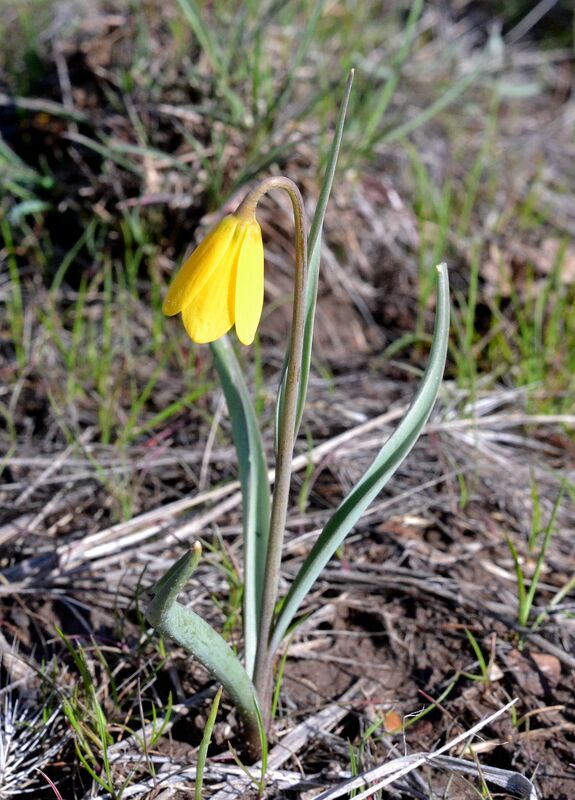 This entry was posted in Wildflowers and tagged corm, Fritillaria pudica, nature photography, yellow bell. Bookmark the permalink.